The 41-year-old Zelenskiy, who plays a fictitious president in a popular TV series, has maintained a strong lead since winning nearly twice as many votes as the incumbent President Petro Poroshenko in last month’s first round of the election. An opinion poll by the KIIS research firm on Tuesday showed Zelenskiy with 72 percent of the vote and Poroshenko with 25 percent. Last week a different survey put them on 61 percent and 24 percent respectively. Zelenskiy’s rise fits a pattern of political insurgency across many parts of the world, from the election of President Donald Trump in the United States, to Brexit, to the Five Star Movement in Italy that was also propelled by a comedian. His victory would be a drastic departure from previous presidential elections since Ukraine broke away from the Soviet Union in 1991, which were won by experienced politicians including three former prime ministers. At stake is the leadership of a country on the frontline of the West’s standoff with Russia following the 2014 Maidan protests that caused Poroshenko’s Kremlin-backed predecessor to flee into exile, and Moscow’s annexation of Crimea. Poroshenko believes he can close the gap on Zelenskiy and there is an outside chance that at the last moment voters will choose a familiar face rather than a leap into the unknown. Zelenskiy has pledged to keep Ukraine on a pro-Western course and has assured investors that he would push reforms, tackle corruption and keep the economy anchored to an International Monetary Fund loan program. But while he has begun releasing a policy agenda, he remains something of an unknown quantity and also faces scrutiny over his ties to a powerful oligarch who would like to see Poroshenko out of power. “The comedian capitalized on a broad rejection of the country’s political elites and Mr Poroshenko’s widespread unpopularity among the electorate,” said Agnese Ortolani, an analyst at the Economist Intelligence Unit. A 53-year-old confectionary magnate, Poroshenko has portrayed his opponent as a buffoonish populist, unfit to lead a country at war against Kremlin-backed separatist fighters in eastern Ukraine in a conflict that has killed 13,000 people. That message has resonated with some voters such as Iryna Zaitseva, a pensioner who stitches traditional Ukrainian embroidered shirts in her retirement. Poroshenko secured visa-free travel for Ukrainians to European Union countries. He implemented some reforms, helped establish a national Orthodox Church independent from Moscow, and successfully lobbied the West to keep sanctions on Russia. But critics say the pace of change has not matched the expectations of the Maidan protests, named after a central square in Kiev. Poroshenko also did not keep a pledge to end the war in the east within weeks and living standards remain low in Ukraine, which has a population of 42 million and is one of Europe’s poorest countries. 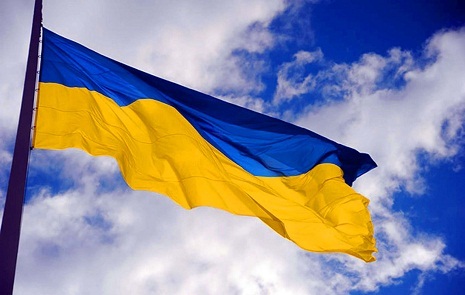 Just 9 percent of Ukrainians have confidence in their national government, the lowest of any electorate in the world, a Gallup poll published in March showed. Zelenskiy tapped into this anti-establishment mood with an unorthodox campaign packed with jokes, comedy gigs and quirky social media posts to millions of online followers. His campaign also attracted well-known reformers, including two former ministers who fell out with Poroshenko. “Poroshenko has not delivered that justice which Maidan was all about,” Aivaras Abromavicius, a former economy minister who became an adviser to Zelenskiy, told Reuters.